Following another recent Twitter spree and a series of problematic, rambling public interviews, multidisciplinary artist and designer Kanye West has announced the creation of a new architecture arm called “Yeezy Home” that will seek to expand West’s creative output to include architectural and urban design. West’s cryptic tweet comes just over a week after the controversial creative visited the Southern California Institute of Architecture’s (SCI-Arc) Spring Show, a showcase of the school’s spring semester work. The visit prompted a tweet from Kanye highlighting the work of M.Arch I student Ashley Morgan Hastings and her desalination-focused project. West has a long history of associating himself and collaborating with architects and designers, including a 2012 collaboration with Dutch architects OMA for the design of the 7 Screen Pavilion project, a pyramid-shaped projection room used to screen West’s Cruel Summer film at the Cannes Film Festival. Amid an earlier tweetstorm two weeks ago, West unveiled Axel Vervoordt-designed the interiors for the mausoleum-like Hidden Hills home shared with wife Kim Kardashian. The top-secret designs follow previous collaborations with New York City-based Family and London, England-based architect John Pawson. 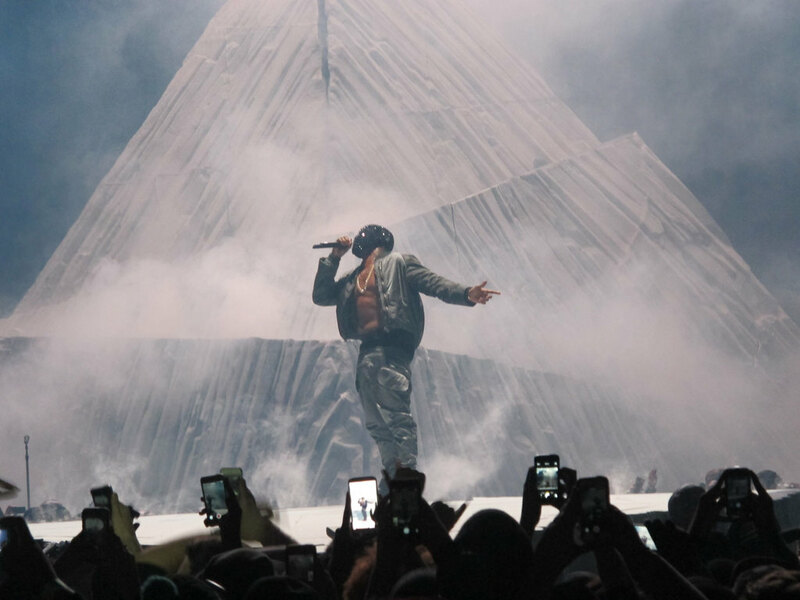 After proclaiming his “obligation to show people new ideas” following West’s renewed support for Donald Trump in a recent song, Kanye’s latest foray into design seems to be more involved, however.